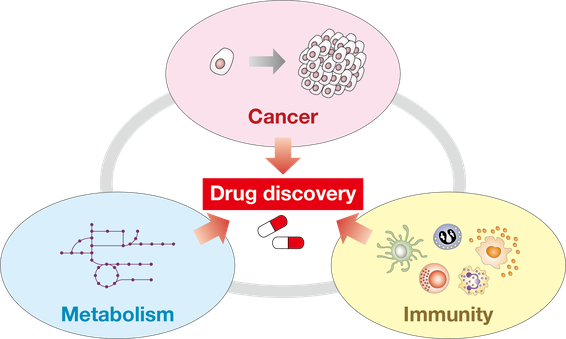 The three keywords for our research are cancer, immunity, and metabolism. We previously revealed 1) an ubiquitin network involving the regulation of mammalian iron metabolism [Cell Metab. (2011)], 2) regulatory mechanisms of the Hippo intracellular pathway [Genes Dev. (2015)], and 3) involvement of extracellular vesicles in the induction of host anti-cancer immunity [Cell (2016)]. The goal of our research is to understand molecular mechanisms regulating tissue homeostasis, and to provide scientific basis for drug discovery. We recently discovered an unexpected and exciting role of the Hippo intracellular pathway in suppressing immunogenicity. 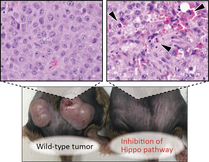 A focus of our lab is to understand physiological regulations of and by the Hippo pathway in development and cancer. 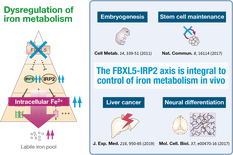 Work in our lab is currently focusing on describing a new regulatory network controlling iron metabolism.